The educational program at Blackduck Public School will provide the opportunity and the incentive for each student athlete to develop mentally, physically, morally and socially to the fullest of his/her abilities with gender equity. The educational programs shall be directed toward the welfare and the best interest of the student athletes. 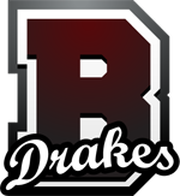 Blackduck High School is of the belief that athletics and other extracurricular activities are an integral part of the educational system. It is believed that extracurricular activities contribute to the educational process of developing well-rounded individuals and young adults. Through the combined support and efforts of the community, school district and staff, students are given the opportunity to participate in the extracurricular programs both as spectators and competitors. These educational experiences allow students to benefit in such areas of development as: interpersonal relationships, group interaction and cooperation, self concept and character, goal setting and values, leadership initiative, self discipline, loyalty, sportsmanship, physical skills and growth, and the personal pride and satisfaction of participation and competition. Since life demands many of the same qualities that are developed through athletics and other extracurricular activities, this opportunity will assist in preparing our students to meet life's challenges as contributing, worthwhile citizens.